How do I find my library card number or my PIN? You can find your library card number on the back of your library card. It is the number below the barcode, with no spaces. If you do not know where your library card is, you may visit any ABBE library and show your photo ID to get a new card. You can change your PIN in your account online (click here). If you know your library card number, you can also contact any ABBE library. You will be asked a few basic questions to confirm you are the person responsible for the account. You may renew an item one time, unless there are holds on the item or your account has more than $5 of fines. Can I pay my fines or fees with a debit or credit card? Fines and fees that are over $5 may be paid by credit or debit card at our self-checkout stations. We can take cash or check for fines under $5. Visit the Catalog and find the title you want to place a hold on. From the search results, you can select the blue "Place Hold" button on the right. From the individual item record, choose "Place Hold(s)" from the drop-down menu on the right (where it says "Select an Action"). You will need to log into your account to place a hold. You can also manage your holds from "My Account" at the top of the Catalog. You can also call or visit an ABBE library to place a hold. What is the difference between a hold and an InterLibrary Loan (ILL)? Holds are placed on books that are in our library system, from one of our 14 branches. 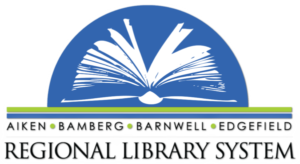 If a book is not available through our system, it might be possible to get it from another library through Interlibrary Loans. ILLs can take 4-6 weeks to arrive. Find out more about ILLs by visiting here. Can I return items to a different library? You may return any item checked out from an ABBE library to any other ABBE branch. For example, if you check out a book in Aiken, you can return it in Bamberg. Friends of the Library item rentals must be returned to the original branch at which they were checked out (for Aiken and North Augusta only). These items are separate from the regular collection and are marked. You cannot return ABBE library items to a non-ABBE library. Can I return books and movies when the library is closed? If the library is closed, you may return books to the book drop outside of the library. If you have audiobooks or DVDs, please put them in the AV drop outside of the library. All ABBE libraries have free Wireless Internet access (WiFi). In order to use it, select the network "ABBEnet." You will be asked to agree to our computer use policy when you sign on. All public computers have a web browser, Microsoft Office, and a PDF reader. Unfortunately, you cannot print from your mobile device. I don't live in Aiken, Barnwell, Bamberg or Edgefield County. Can I use your public computers? You may use a guest pass for public computers at any library. The cost is $1/day. You must agree to our Computer Use Policy in order to use computers. Where are eBooks and other digital items? Visit www.abbe-lib.org/digital to see our digital library. How do I use my Kindle/iPad/digital device to download books? Visit www.abbe-lib.org/digital for instructions on how to use your devices. I want a book that you don't have. Can you order it for me? You can fill out a request form at the library, or select "Send a Request" at the top of the page here. If we choose to not order the book, you can request it through Interlibrary Loan. How much does it cost to attend a library program? All library programs are free of charge, unless marked otherwise. Visit here to find out more about donating books and materials to the library. Do you have books available for purchase? Does the library buy books? Books that have been donated to the library are sometimes available for purchase at most library branches. The proceeds from the sales benefit the Friends of the Library programs, and the money is used for library programs and other library needs. The library does not purchase books from individuals. ABBE does not offer notary services. Library items have a label with a call number on their spines (or next to the spine). The top letter or number on the call number represents the collection for the item. If you have any questions or cannot find an item, please ask a staff member.